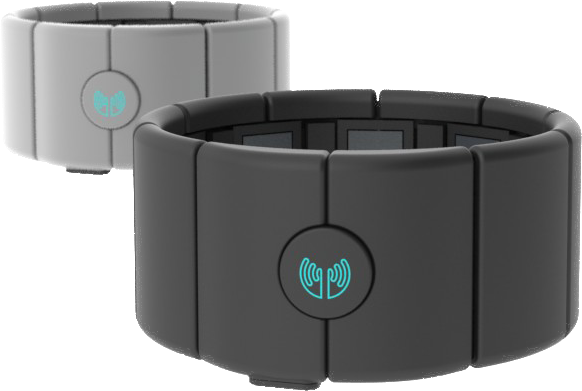 Thalmic Labs has launched a developer program today for MYO, an innovative new armband that enables the user to interact with technology using finger and hand-based air gestures. A promotional video released by the firm in February detailed some pretty creative use-cases for the peripheral, including being able to turn up the volume on iTunes with a simple twist of the wrist, or moving between presentation slides with a horizontal two-finger flick. Thalmic Labs believes that the applications for MYO are “virtually endless” and that’s part of the reason why it wants to get more developers on board. By making the gesture-control armband a flexible platform, rather than a static device, it has the potential to broaden its appeal and remain relevant when it launches next year as a commercial product. It’s part of the reason why the Pebble smartwatch, originally funded on Kickstarter but now available in Best Buy stores across the United States, has become such a popular accessory. Developers who are accepted to the program will gain early access to various documentation and APIs related to MYO. The company says “a very select group” will also receive a pre-production model as early as this summer. “By opening this program up to developers and enabling them to build on top of MYO technology, we will ensure that MYO has a deep suite of software applications by the time the product reaches consumer hands,” Stephen Lake, CEO and co-founder of Thalmic Labs said. MYO can be worn just above the elbow on either arm and detects the electrical activity produced by the user’s muscles. Although laptops, smartphones and desktop computers are an obvious choice, the aforementioned promotional clip also shows support for video games such as Mass Effect 3. The device is available to pre-order right now for $149, although the first units aren’t expected to ship until early 2014. Programmers can also submit their interest in the Developer Program right now by filling out this online form. Thalmic Labs was founded in 2012 by three University of Waterloo Mechatronics Engineering graduates – Aaron Grant, Matthew Bailey, and Stephen Lake. The company has since grown to 10 employees and is now a part of Y Combinator’s winter 2013 cohort.